Towards the end of April this year I received an email, followed up with a message on Google + from a rider from South Africa who was coming over to the United Kingdom in May and then going onto South Wales in June before flying back home. He was going to visit friends near to Cardiff, which was ideal, as I knew where he could hire a motorcycle for the day. Arrangements were made, further e-mails exchanged and a date and time fixed. 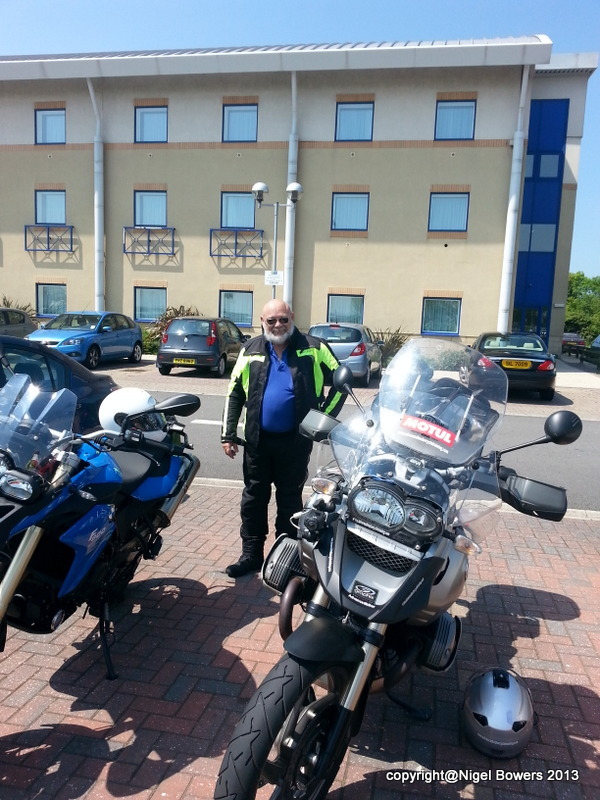 So On Thursday 6th June 2013, an early start for me, on the road for 6.30am for a 3 hours ride for me to get to Cardiff to meet the client at the BMW dealership, in Cardiff. I arrived 10 minutes late due to traffic problems on the approach to Cardiff and upon arrival at Rider BMW, I was met by the client. Once the paperwork was done, we have a chat before we set off. What did we chat about, well his previous riding history and what he was looking for out the days assessment/training. I managed to get out of Cardiff and stopped on the road out towards the M4to turn the cameras on, then it was the turn of the client. A short ride in front onto the M4 before heading north on the A roads through Pontypool to Abergaveny. We had a good day together, that did highlight a few areas that I can share with you.